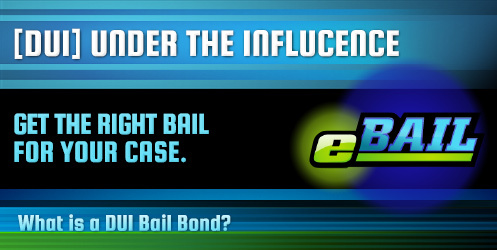 eBAIL provides Fast, Cheap, Online DUI Bail Bonds in Las Vegas, Nevada 24/7. Also serving DUI Bail Bonds in North Las Vegas, Henderson, Boulder City, and Nationwide. In Las Vegas, Driving Under the Influence (DUI) is an occurrence that can result in immediate arrest and placement in jail while waiting for a preliminary hearing. The judge will typically set a bail amount that must be paid as a guarantee that the accused will return for their scheduled trial in order for that person to be released from jail. DUI bail bonds are often used in place of the full bail amount. DUI bail bonds are like other types of bail bonds in that a small percentage of the determined bail amount is paid to a bail bondsman rather than the full bail amount in order to be released from jail before the set trial. According to the laws in Las Vegas, 15 percent of the bail amount must be paid in order for the bondsman to issue a bond. Once the 15 percent is paid, the bondsman will pay the entire amount of the bail to the jail on behalf of the accused in order to initiate the release process. Which Jails Accept DUI Bail Bonds? There are several ways to get released from jail in Las Vegas. However, there is nothing that can be done until you attend your preliminary hearing and the judge decides on the bail amount. Once bail has been set, you have three options on how to get released. Pay the full amount. You may choose to pay the full amount of bail, which typically runs several thousand dollars in most DUI cases. The only benefit is that you may get most of this money back after you attend your trial and after the deduction of any costs. Pay 15% of the bail amount. If you don’t have enough money to pay the whole bail, you may choose to pay 15 percent for DUI bail bonds. Although you don’t receive this money back after trial, the bail bondsman does all of the necessary footwork and paperwork to get you out of jail. Bail bonds are the most common choice for most detainees. Hire a criminal defense attorney. A lawyer can help reduce the amount of bail or may even have it eliminated in some cases, but there is no guarantee. Also, you must wait several days or even weeks until the attorney can see the judge to make these changes. The total amount of time spent in jail depends on how long you must wait before bail is set and how long the release process takes once bail has been paid. Once the bail has been paid in full or through the use of bail bonds, the process can take anywhere from 6 to 16 hours, though may take longer on weekends, holidays, or due to issues within the jail. 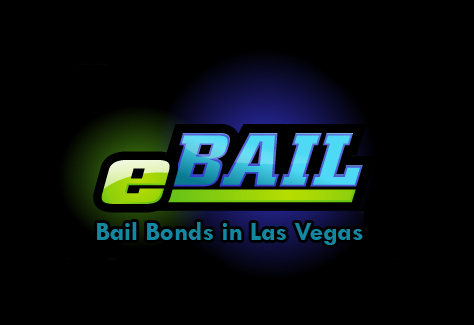 eBAIL is fully licensed and authorized to provide and pay bail bonds at any jail or court in Nevada. The qualified bondsmen at eBAIL do all of the work in determining in which jail your friend or loved one is being held, the amount of the bail, and in paying the bail. The process can be easily completed over the phone or online. eBAIL will also help with payment arrangements if the required 15 percent cannot be paid in full. Let the courteous professionals at eBAIL help in the speedy release of your friend or loved one.